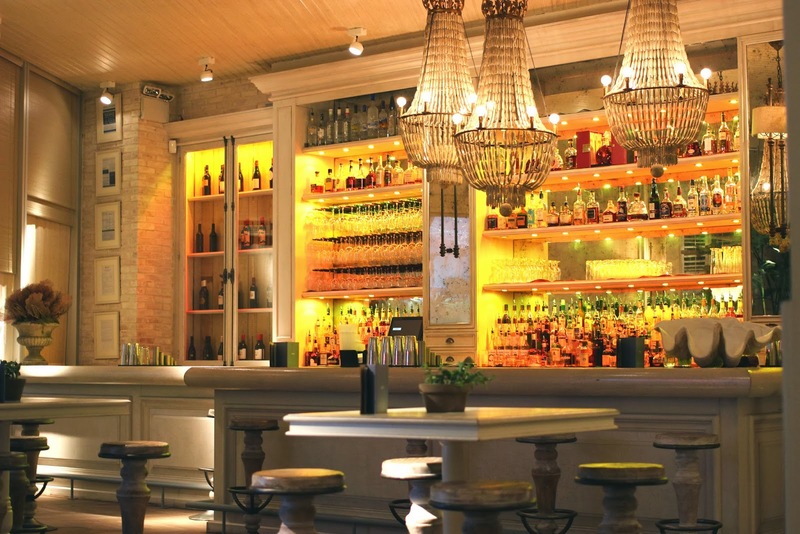 Anyone who lives in Manchester will know that Australasia's reputation for fine dining is second to none, with it being the choice eatery of many a local celebrity and aspiring socialite. However, in spite of this overwhelming reputation, we're ashamed to admit that we've never had the opportunity to visit this lovely underground establishment for a bite to eat. 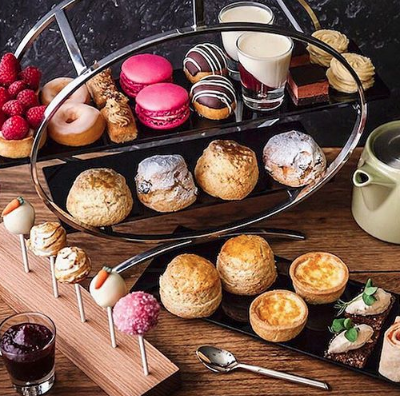 Because of this, you can imagine our delight when their lovely manager got in touch, inviting us to come in and sample Australasia's Asian themed High tea. Here's how we got on. 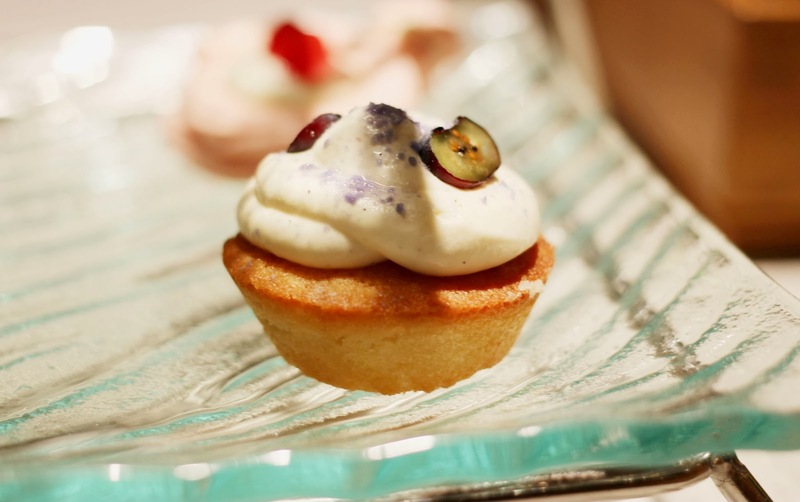 Served in the restaurant's swanky bar, the Australasia afternoon tea is unlike anything else you'll find in the city. Something of a secret, this tea had until last week, somehow escaped our radar - and oh what a shame that was! The environment, as you'd expect, is one of sheer luxury with beautiful white tables and oversized whicker chairs, mixing with grand crystal chandeliers and neon lights to create an edgy but distinguished beach hut come Ritz fusion. Imagine that! We were particularly impressed with the wonderful heated porch, which was incredibly inviting - in spite of the sub-zero temperatures that Manchester is currently facing. Anyway, enough of the environment, lets move on to the food. 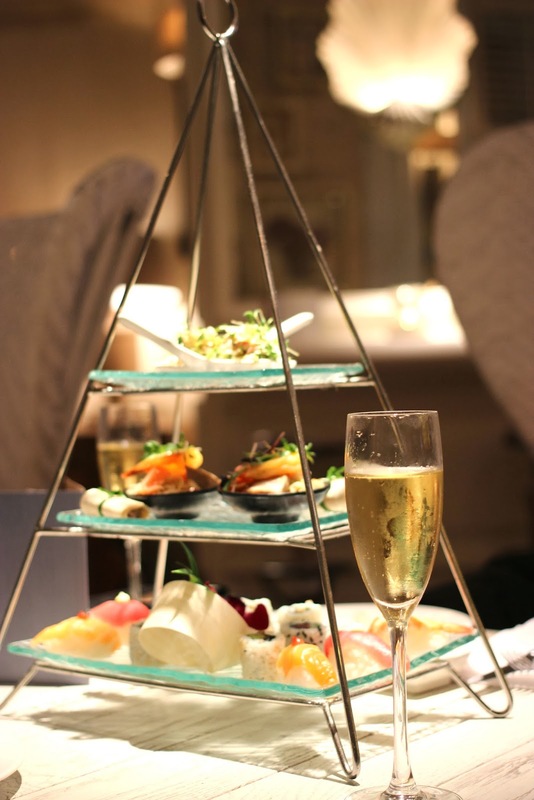 Served in two waves - true to the restaurant's seafood roots - the Australasia Afternoon tea is a work of art in itself, making both sweet and savoury aspects a feature in their own right. 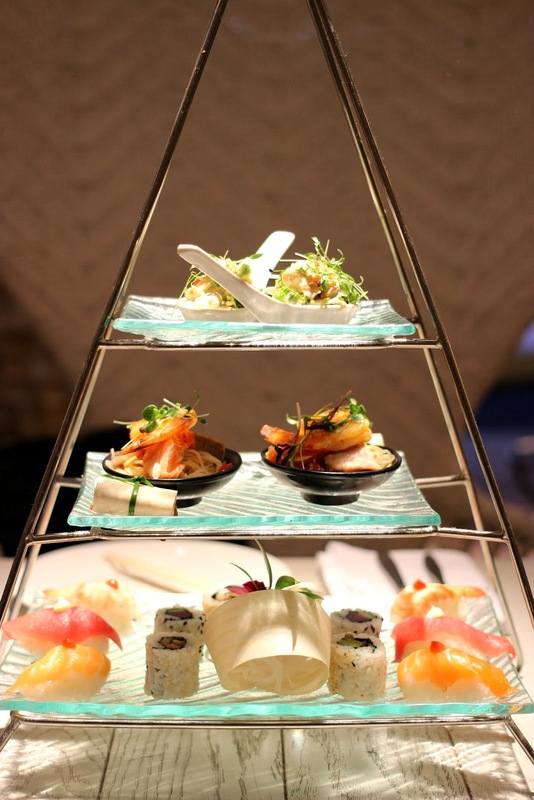 The first wave is the savoury selection, which comes exquisitely presented on a wonderful pyramid tower. Attention to detail here was notable with the glass layered tower, being distinctly reminiscent of the marvellous glass structure which provides an entrance to the main restaurant - a lovely touch. 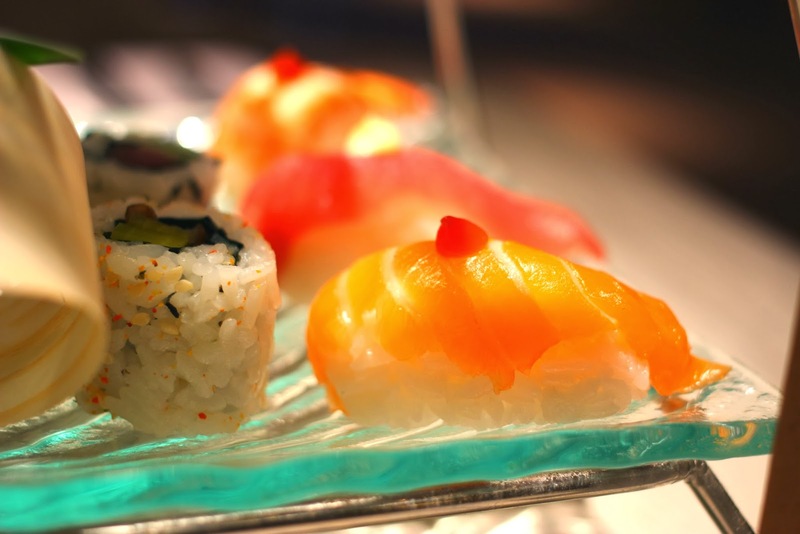 Gone are the cucumber sandwiches of traditional afternoon teas, in favour of tuna, salmon and mushroom Sushi and Nigiri on the base. Whilst a wonderful Asian seafood and noodle medley replaces the scones. With neither of us being particular sushi fans prior to this afternoon tea experience, we're pleased to report that Australasia have managed to convert us - on a side note, be sure to look out for the duck spring rolls - they're absolutely fabulous! Not to be out done for grandeur, the second wave of this fabulous tea, arrives on its own glass stand, complete with cocoa powder garnish. Once again, unlike its traditional rivals, the dessert section steers away from cakes in favour of off beat treats with an exotic twist. Selections on this menu include: a decadent Panna Cotta, Chocolate & Coconut Roll and Sweet Spring Rolls. Our favourite out of this selection however, was the Raspberry Cream meringue, which was lovely and light, offering the perfect end to the meal. As a special treat, the bar offered us the chance to sample some of their signature cocktails. Now, before we go on, we really must give a shout out to our lovely waiter Nick - who was quite possibly one of the loveliest people we've met on our travels so far. His enthusiasm for his job was truly infectious and really made the whole afternoon that much more enjoyable. He made such an impression in fact that, we just had to send over a physical version of our elusive golden cupcake just for him, as a token of our appreciation - an afternoon tea club first! 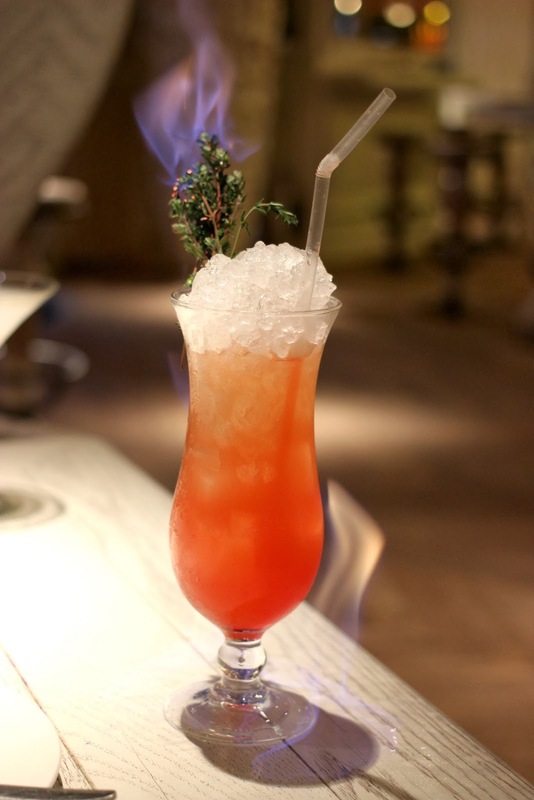 Any swanky Spinningfields bar needs similarly swanky cocktails, and Australasia doesn't disappoint. Engulfed in flames, the Bush Fire was our tipple of choice for the afternoon and was an immense amount of fun. 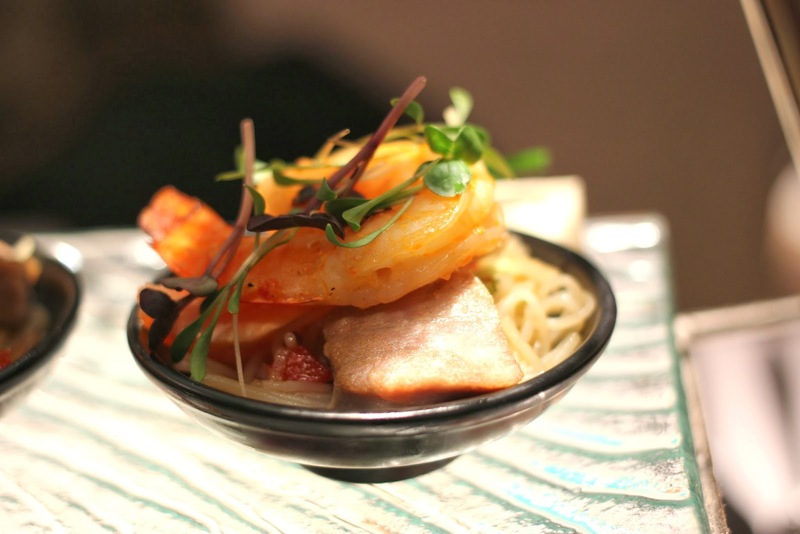 We won't ruin it for you (although the pictures may do that anyway) but if you can only try one thing at Australasia, make sure its this. 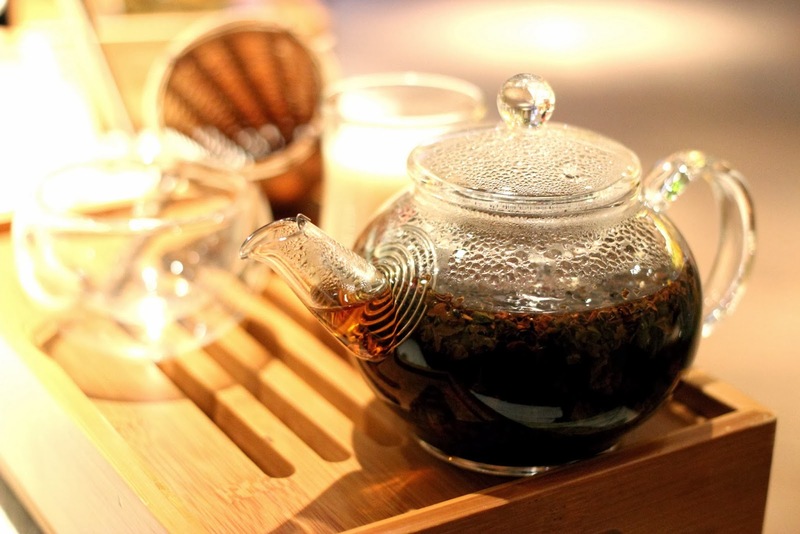 High Tea at Australasia is unlike any other in the city and is definitely one to try if you're ever in town. For both food and service, it can't be beaten. Pay them a visit today! DISCLAIMER: As is common in the catering and leisure industry, we were provided with complimentary services for review purposes. However, all views and opinions are our own! I need to try this, looks amazing! You definitely won't regret it - this is one of the best and most quirky teas we've had in Manchester! Err...wow! What a wonderful looking tea - I love that its a bit quirky and that stand is just beautiful! It looks delicious. Nice to have something other than the usual dry scone and Wilkinson jam.